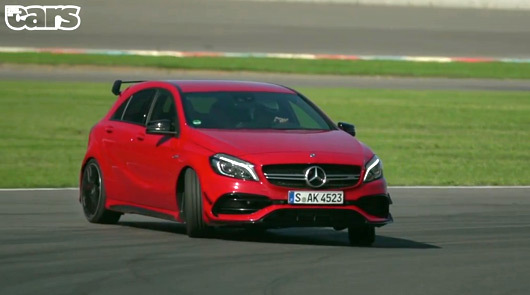 Chris Harris interrupts the bad news from Volkswagen to take for a spin in the updated and softer Mercedes-Benz A45 AMG. Don’t worry, that’s softer in a good way, as he explains. You lot obviously don’t watch Harris’ motor show videos enough so he has spliced his A45 review in among his walk around the Frankfurt Motor Show. I do like the updated A45 very much. Two things I really didn’t like about it, gear change and super stiff ride, have both been addressed. Good times ahead.